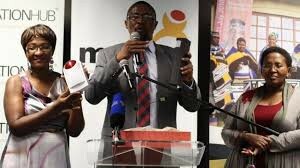 Gauteng MEC for Economic Development, Mxolisi Xayiya launched the Memeza Women Empowerment Initiative at The Innovation Hub in the City of Tshwane. The Memeza Women Empowerment Project developed a small key ring that is a loud personal safety alarm and a household community safety alarm. These safety alarms are unique, low cost and community driven, working in conjunction with Police Sector. The personal alarm as one of the simplest and most effective alarm systems which is operated by simply pulling on a lanyard. The alarm emits an oscillating sound at 140 decibels. The household community alarm has a number of features that make it unique. It is the first pay-as-you go alarm system with airtime pooling to reduce monthly airtime costs for the alarm owner. It has a long battery life, which means that it is suitable for use in rural areas. It can be charged using solar energy at local community centres. The alarm system is cell-phone enabled. The Memeza household community alarm emits a unique three-phased siren to alert the community of intrusions. The house is easily identified by a flashing red light and alert SMS messages are sent to the cell phones of the local sector police, community crime initiatives and patrollers as well as pre-selected family, neighbours and friends. Importantly, the household community alarm will log crime statistics to a SAPS database and will ensure real-time access to information. This is useful for sector commanders and station managers who will be able to gather information per sector, town and province. Memeza’s director, Thuli Mthethwa, developed the device after her family was violently attacked in their home in Tembisa. She gave up her secure job as a software developer to design devices that would benefit the community at large. She is committed to finding ways to make such devices cost effective enough to be accessible to low-income communities. Memeza is one of the 54 entrepreneurs in the Maxum Programme at The Innovation Hub. Thuli has been part of the programme for two years with her concept to develop both the personal alarm system and a community alarm system. “This project is a true representation of social innovation and social entrepreneurship. What excites me is that this initiative is based on active and involved communities. When you look at the Memeza personal alarm system, what you see is a colourful key ring or an innovative safety system, but what I see is a tool for empowerment; a way for potential victims of crime to alert the community around them should they be in trouble,” said Xayiya. The Innovation Hub is Africa’s first accredited science and technology park and an entrepreneurship intervention designed to accelerate the growth of innovative knowledge and technology-based enterprises in Gauteng. It is a subsidiary of the Gauteng Growth and Development Agency (GGDA), which is an agency of the Gauteng Department of Economic Development Department. CEO of The Innovation Hub, McLean Sibanda spoke proudly on the The Innovation Hub’s role in developing the alarms since 2012. “It pleases me to see a smart approach to complex socio- economic challenges. 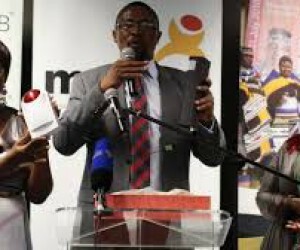 Memeza and The Innovation Hub are working closely together to produce a system that can make a huge difference to the communities where it used,” he said. The household alarm and its back end system are being finalised and testing has been underway since January 2014. “We have engaged with various community policing forums and the SAPS and there are discussions underway to roll out the Memeza system in communities across each of the Gauteng metropolitan municipalities. Tooling development is now at an advanced stage and we hope to reach commercialisation later this year,” explained Thuli. The Memeza Women Empowerment Project distributed 10 000 personal alarm devices to disadvantaged learners and community members during March. The alarms were distributed to women and children in the townships of Diepsloot, Tembisa, Soshanguve, Eldorado Park, Ivory Park, and Ebony Park. This donation was made possible by funding from the National Lottery Board.